The all-new eGo Airport Guide covers the 26 most popular airports in the United Kingdom, and is designed to make travelling from any of them as easy and stress-free as possible. You can access this service by clicking the name of any airport in the navigation area on the left-hand side of the screen. We are happy to announce that eGo will launch a new Travelogue service soon, where traveller's willing to go far off the beaten-path share journals of their travels and adventures abroad. In the meantime, you might enjoy some of our 'eGo Classic' travelogues. These date back as far as 1996 when they were first published on this site. 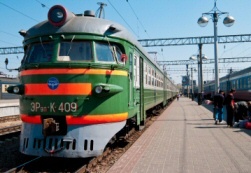 The Trans-Siberian Railroad is the longest railway in the world and now forms part of the Eurasian Land Bridge. eGo's own new Airport Parking comparison service is currently being developed and will be launched soon. 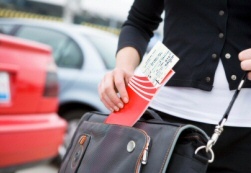 Save money, time and hassle by booking Airport Parking online. This service is being designed to make it easy to book Airport Parking in advance and also get access to special discounted prices only available online. 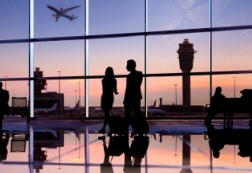 When launched you will be able to simply enter the airport you will fly from and the dates you need. We will then check all the airport parking providers in seconds and give you the best prices for secure, convenient parking.